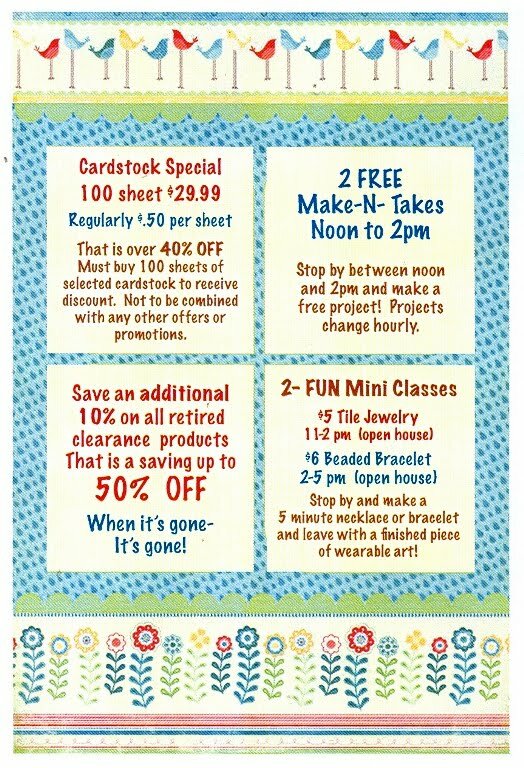 Projects change hourly or while supplies last! Come learn how to make magnets with pebbles and get ideas on how to change anything into a cute magnet! Come and see the EPIC 6 in action!! 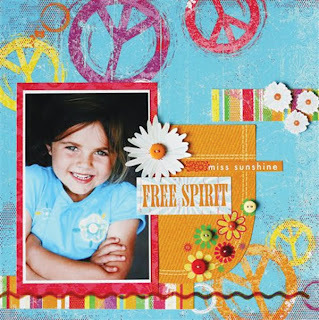 You will see how easy it is to use QuicKutz embossing folders to WOW any project. Also see how you can use embossing folders in a whole new way for a whole new look!! A Kite, A Tie, Or Both? here are a couple additions you'll Love! 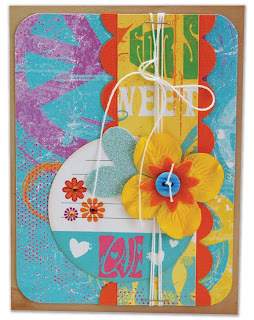 This KITE is so much fun to celebrate Spring! Also just in time is a TIE to celebrate Father's Day! Don't forget to personalize your tie on the back! so they hang on your front door! 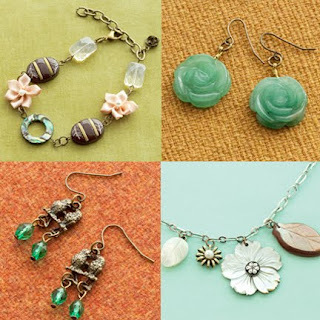 Each Hanger is only $15! 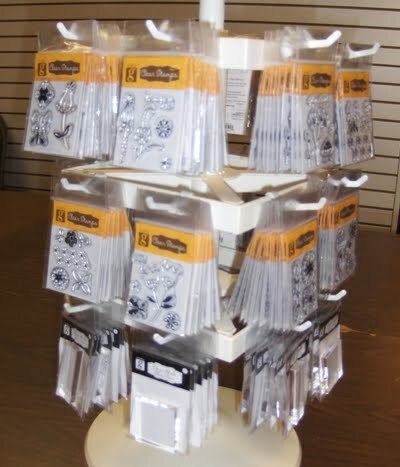 These Seasonal Hangers are KITS TO GO! So make sure you call 888-3966 to Order the KITE, the TIE or BOTH! 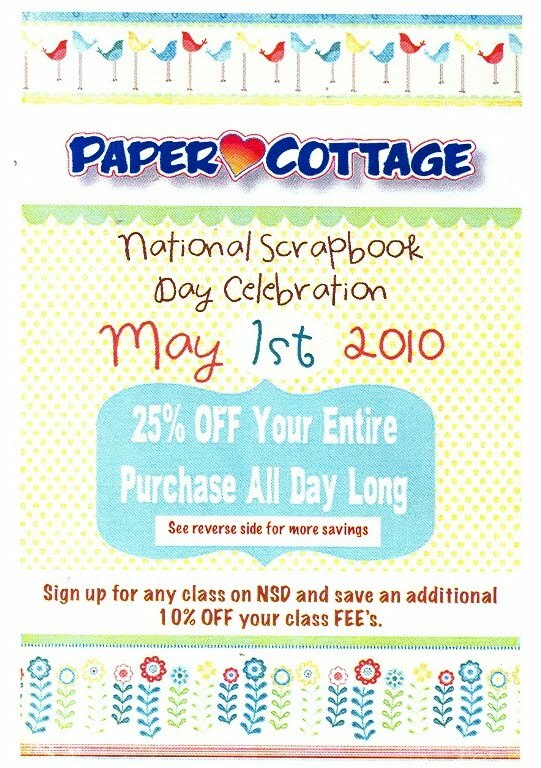 National Scrapbook Day is almost here!! Pick up a kit or sign up for the class to make this single page, 2 photo layout. Please bring the following supplies to class: adhesive, glue dots, distressing ink, paper trimmer. 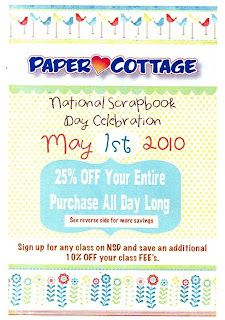 to display pictures of that Special Someone on their Special Day! 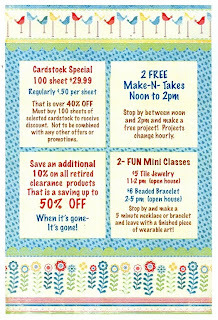 Make sure to bring your sanding tools, scissors and your Modge Podge! Can't make the class? Make sure to sign up for your Kit To GO! Just call us at 888-3966 to reserve your spot! For the Free Spirit in all of us, a true celebration of HAPPINESS! This fun & funky flower power collection will have you feelin’ groovy! 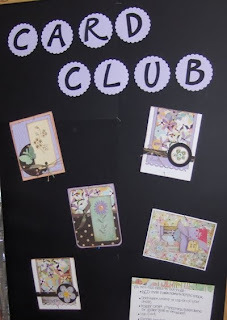 Card Club for April starts today! 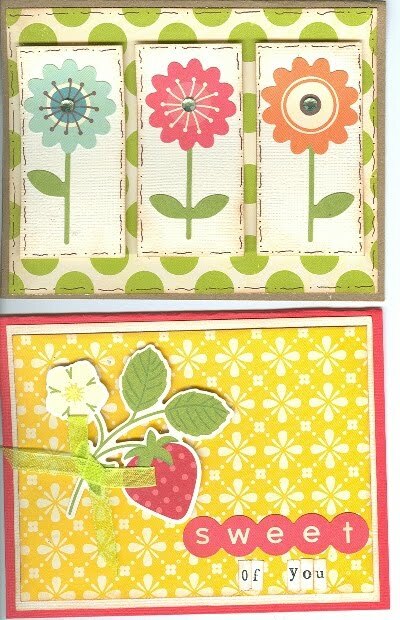 This month the card features Clear Stamps by G Studio ~ we have a huge selection of all kinds of shapes and themes and the best part is that they are only $0.99 each! 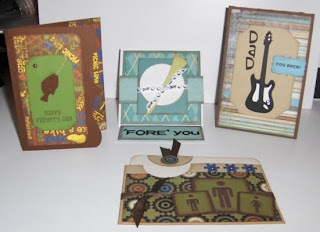 Have you ever wanted a quick card for one of the men in your life and didn't have anything handy? Come and create a set of 4 cards of various sentiments to have on hand when you need them! 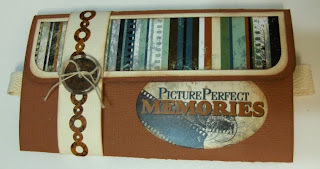 Have you seen the newest collection by Making Memories?? 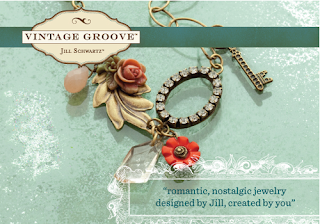 It's Vintage Groove Jewelry. The art of creating unique jewelry has never been easier. Check out their website http://www.makingmemoriesjewelry.com/ where you can watch a video from their library or see creations on how to make necklaces, bracelets and earrings, then come on into the store and purchase the unique pieces to make your creation. 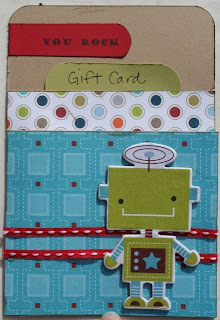 Today is the debut of our newest Card Kit To Go. 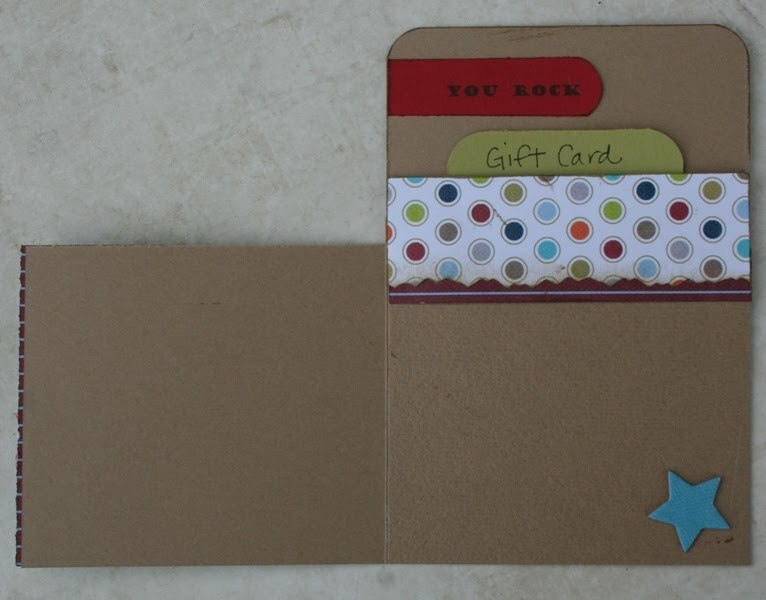 Stop by the store and pick up this cute gift card holder kit. 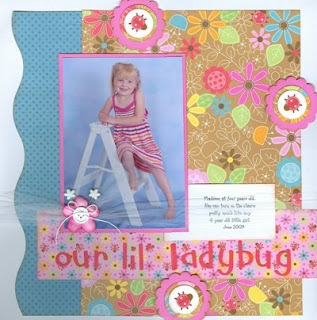 This fun class features 3 girly projects full of sparkle and shine. 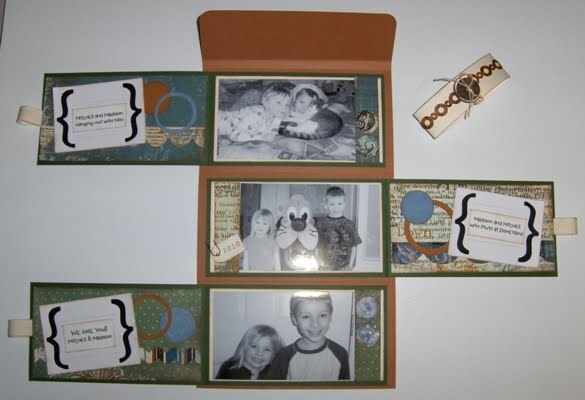 These projects are perfect to share with your girlfriends or the little girls in your life. 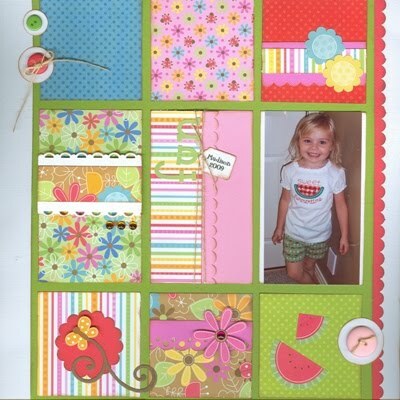 What do you do with leftover papers, stickers and embellishments when you've designed a layout and/or cards?? Check out this layout using bits and pieces left from designs. Take any leftovers, some tools and make the most of what you have! We've got Doodlebug!! Chunky Brads, Jack & Jill Alphabet Stickers, Feeling Groovy Collection, Summertime Collection, On the Go Collection and Barnyard Collection. Very Cute Stuff!! 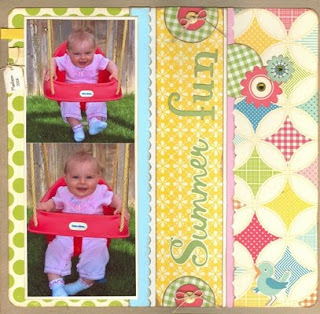 Check out these layouts using the Summertime Collection and On the Go Collection. Come on into the store and get inspired today!! Here's another Great Idea for a Gift for Mother's Day! A Lovely Sentimental Heart Plaque! Can't make it for the class, then sign up for a kit to go! Instead of a trick, here's a treat! 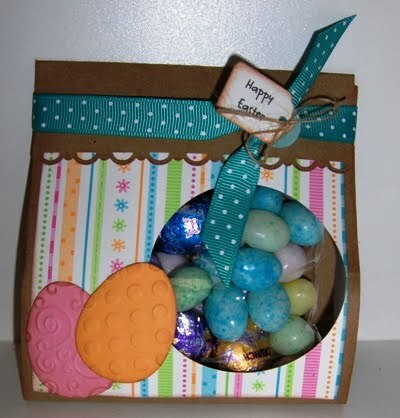 Make this adorable Easter Goodie Bag for family, friends and co-workers! 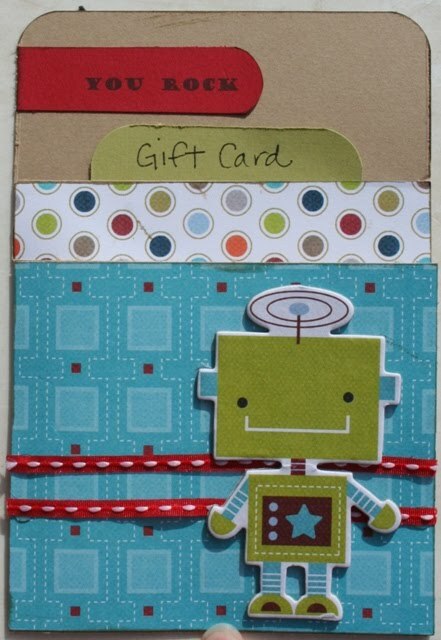 Score the 4 1/4 x 11 piece of cardstock at 9 1/2", 4 1/2" and 5". 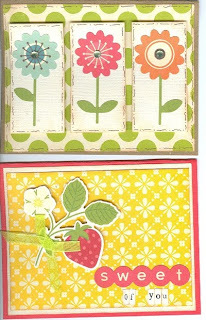 Using the border edge punch or decorative scissors, cut the end of cardstock by the 9 1/2" score line. Fold on score lines. Glue the 4x4 piece of pattern paper to the front flap as shown. Using a 2" circle punch, punch a hole on the right side of the front flap. 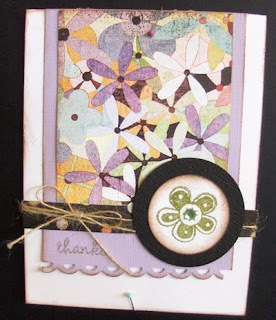 Glue embellishments of choice to lower left of punched out circle. Fill cellophane bag with goodies and then staple bag to inside of front flap. Glue the decorative edge flap over the front and then knot tie ribbon to secure flap down. 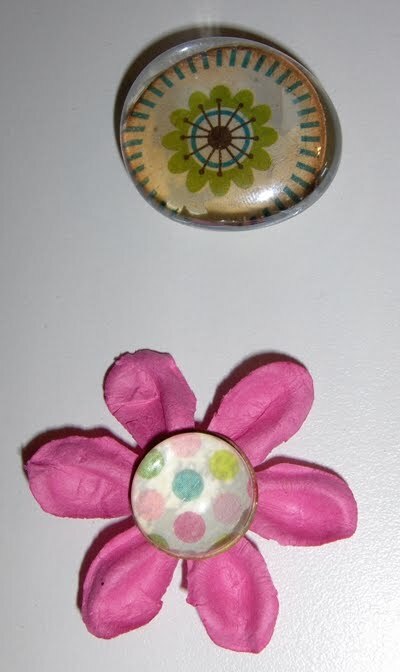 Attach a tag to the button and then tie button to ribbon knot. Enjoy! !